Sri Lanka is the magical destination to begin your journey together in nuptial with a perfect, romantic setting for newlyweds looking for the space and leisure of togetherness. Sri Lanka caters for your taste, and is the perfect backdrop for a luxury holiday spent in a private beach villa or a quieter and green countryside cottage. The choice is yours, and we cater to your needs. The adventurous souls too are not isolated and have all the reason to visit Sri Lanka to engage in thrilling adventures from surfing, hikes to other water sports. 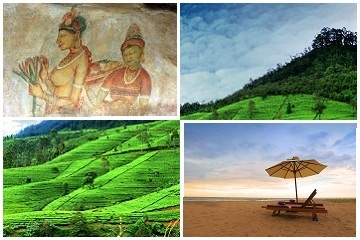 Holidays in Sri Lanka are a memory for a lifetime, and we at Classy Tours have great honeymoon packages being one of the most trusted tour operators in Sri Lanka. Fall in love again in this perfect romantic getaway to reveal your true selves while enjoying the bliss over a cup of perfectly brewed hot tea. 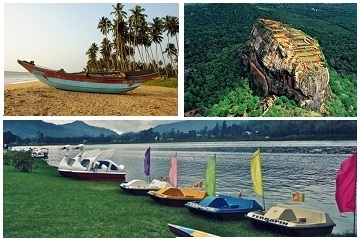 Its Sri Lanka always for your holiday! Honeymoon tailor made tour offers customer designed journey that are exclusive and personal to each holiday maker. Now you can simply design your tour together with one of our experts to fits with all your requirements.